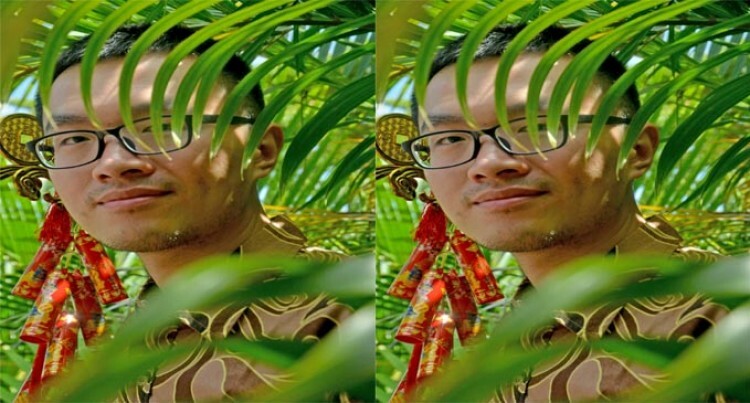 Huang Jie is a teacher at the Confucius Institute at the University of the South Pacific and he is from Taizhou, China. Mr Jie, 27, is interested in learning different languages and currently he is learning English and Japanese. He is looking forward to learning the iTaukei language during his stay here. What is your Chinese New Year wish? My wish is to to master the Japanese language and to be able to speak a bit of the iTaukei language; also to enjoy my stay in Fiji. It’s a big day for family reunion. Where everyone goes back to their hometown, get together with families and old friends, catch up and enjoy the delicious food and drinks. Most people have a seven-day vacation, the longest vacation in a year, so we make the most of it to have fun with families. We put our family first and this is our tradition. What are your goals for the Year of the Rooster? My goal for the Year of the Rooster is to know a bit of the iTaukei language. What’s the most interesting thing about you and your culture? I am a really boring person but the cultures are funny. For example, you have to wake up and get up by yourself in the morning instead of being woken up by someone else, otherwise you will be lazy in the new year. You are not supposed to use knife and other sharp things when you cook on the first day of the New Year, so you have to prepare all the ingredients on New Year’s eve. How did you celebrate the festival as a child? I asked every family member older than me for red packets and I ate a lot of snacks. What traditions do you still keep, and how do you celebrate Chinese New Year today? I go back to my hometown every year and take gifts to everyone in my family, especially to my parents and grandparents. I will get up really late and then visit families and old friends in the afternoon. Usually when I meet my friends we will go to a good restaurant for afternoon tea. How will you be celebrating Chinese New Year? I will celebrate the New Year with my work colleagues this year. What animal zodiac sign were you born under, and do you think there are similarities between you and your animal sign? I was born in the year of the snake and like a snake I like to do things alone. I don’t talk much in real life, and I like to focus on what I am doing.